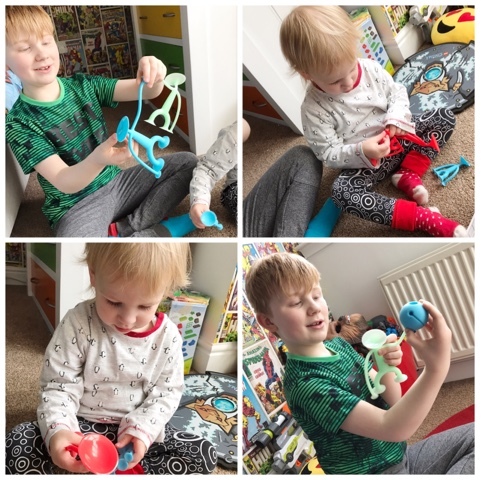 We absolutely love wooden toys in our house. There's just something so fresh and beautiful about them. Harlow in particular likes a wooden toy or two especially for her toy kitchen which she inherited from her brother. Along with the kitchen she received some wooden play food but it's getting a bit old now (6 years and counting) so a new addition to the kitchen was well overdue. 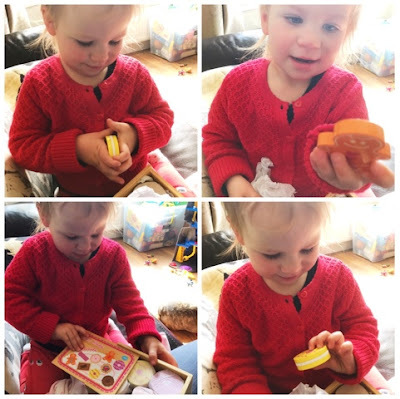 Step forward the lovely Lucy Locket and the cute Wooden Biscuit Counting Game which they sent Harlow to try out. 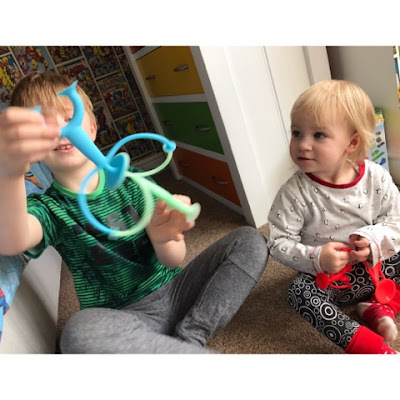 Here's a little bit about Lucy Locket: "Children are right at the heart of many families and at Lucy Locket we are no different. We're the Edwick family and we currently have two generations working at our company as well as a younger generation who like to keep an eye on what we are up to. From product design, marketing, IT and safety it's all covered by our family. The great thing about this is the core values of our company reflect the values of our family through and through. The younger generation have a role to play too. 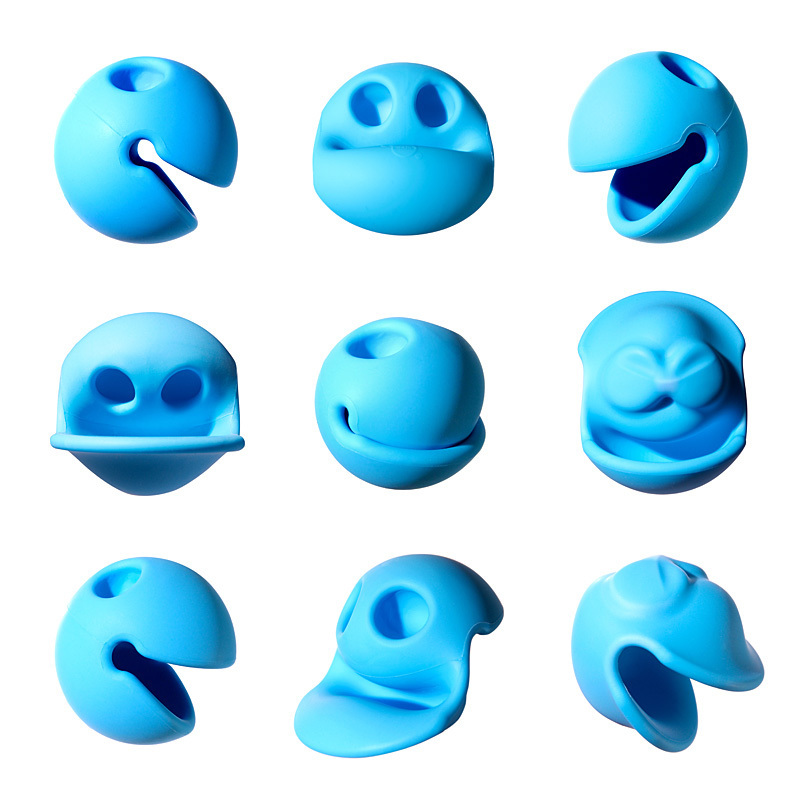 Very often they are the inspiration behind new ideas. As they grow and learn we see what inspires them the most and this inspires us too. 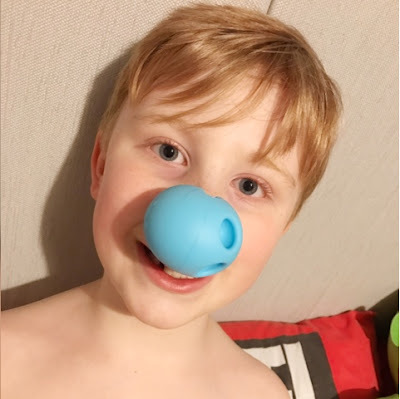 Of course the kids also love to play and test our new product ideas and we can count on them for a very honest opinion." As you've just read, Lucy Locket are a family company through and through and provide a plethora of children's toys and products suitable for all ages and stages of development. Harlow was lucky enough to receive their wooden biscuit counting game which arrived well packaged and handily contained in a perfectly sized wooden box with sliding lid. Inside the box there's 10 yummy traditional biscuits and a spotty tea towel to complete the set. Harlow was absolute delighted when I showed her this toy and couldn't wait to play with it. 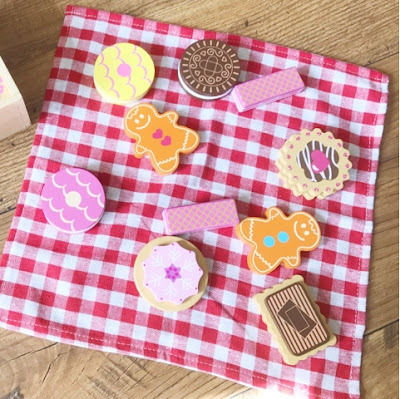 As well as encouraging imaginative play and of course adding some excitement to Harlow's beloved kitchen, the wooden biscuits are each numbered from one to ten making it a fab counting game to help practice those numbers. 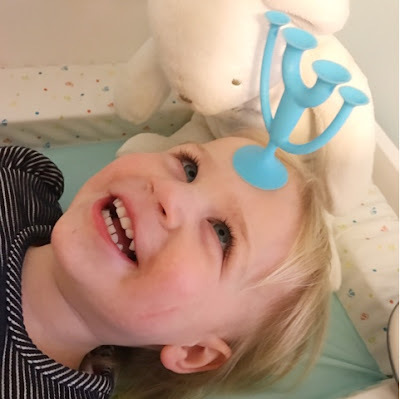 Being a toddler, Harlow is at the perfect age for honing her number recognition skills and I feel this toy really helped. She can say her numbers from one to ten however she won't necessarily get them in the right order. Having these biscuits to hand with the numbers printed on them helped her see the proper order they were meant to go in. 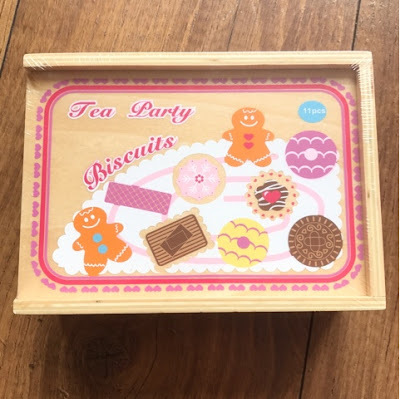 When we weren't using the biscuits as a counting game they made great pretend food for Harlow to serve with her pretend cups of tea and coffee. They really have made a great addition to her little wooden kitchen and the rest of her wooden food. 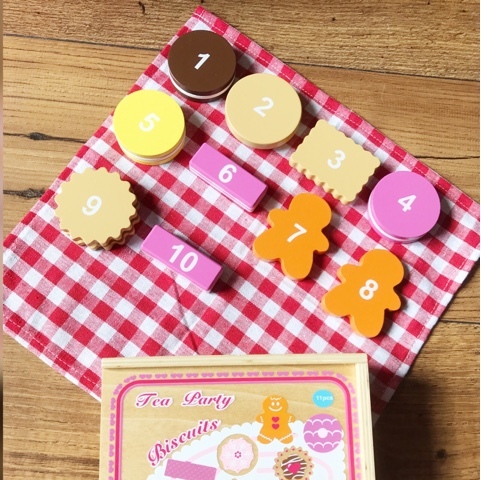 This Wooden Biscuits Counting Game can be purchased directly from the Lucy Locket website for £16.00 and if you spend over £20 you qualify for free UK delivery. I've been drooling over a few items of theirs, especially the lovely music boxes, so I can see myself putting in an order very soon! I received the Wooden Biscuit Counting Game for free in return for an honest review. As parents of autistic children will know, autism aids can be of great benefit to their child in the present and in the long run. Over the past few years the other half and I have learnt which aids help Logan the most and which don’t work so well. Of course we’re still learning and Logan changes as he grows older so there will always be something new to come. However I’ve put together a little list of current autism aids which seem to work for us. Hopefully they help you too. Chewing can help relieve anxiety in people with autism as well as acting as a calming aid or something to fidget with as a distraction. Chewigem offer a wide range of amazing chew pendants, bangles and other designs to suit all ages. Logan has a few button pendants himself which he uses every day at school. They really do help although he has to be reminded not to twirl them in the air every so often. I’m surprise how long they last as well as Logan is a heavy chewer but these have stood the test. There's tons of different sensory lights on the market at the moment. 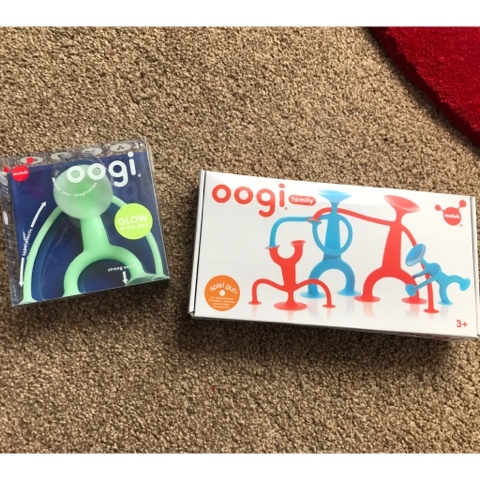 Some of the more specialised ones can cost a fortune but you can easily pick up some good ones from places like Argos and Amazon for a fraction of the cost. 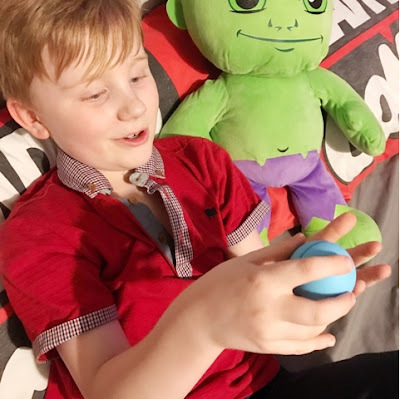 Logan has this awesome laser sphere lamp which changes colour and shows cool laser patterns on his bedroom ceiling at night. He literally uses this light every night and it also makes a soothing humming/ white noise sound which actually helps him fall asleep. Sometimes at night time Logan can often feel scared, I'm not sure if it's because he's got an over active imagination or if it's because his large room can look a bit scary in the dark. The other half found these cool bed tents on kickstarter a little while ago so placed an order and awaited it's arrival. The idea being it would make Logan feel more secure in bed at night time. 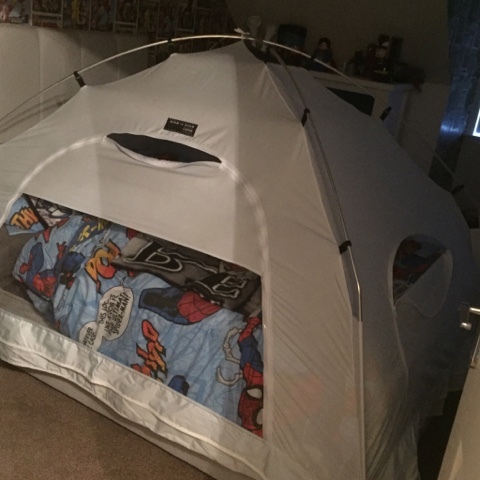 They really are awesome and Logan loves his new tent, it's helped too which is a bonus. When Logan was younger he really struggled with moving from one activity to the next. He just couldn't finish an activity without a meltdown even if the next activity was the most amazing thing ever. So to help combat this and also stop the stress for Logan we started using sand timers. 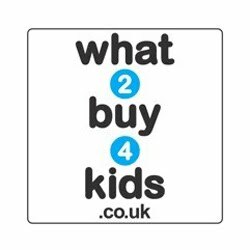 You can purchase small ones from the pound shops easily or of course a quick search online will bring up a host of different options. Most children hate having their hair brushed as it can sometimes hurt but it's always been 10 times worse for Logan. He wouldn't let us use normal brushes on his hair so when AirMotion Pro sent me one of their brushes to try it was a break through! 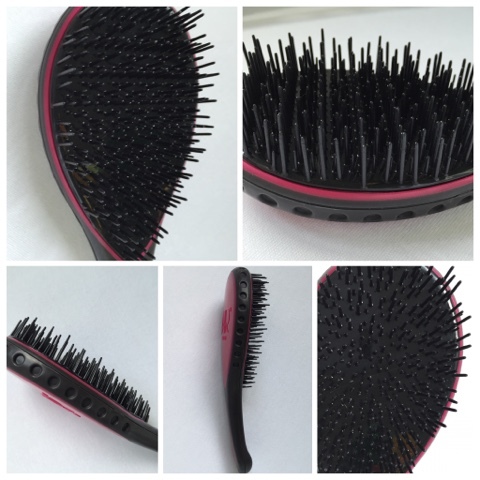 For some reason the different length of the teeth in the brush help to stop the hair being pulled when you have a tug. It's brilliant and makes hair brushing time much easier. 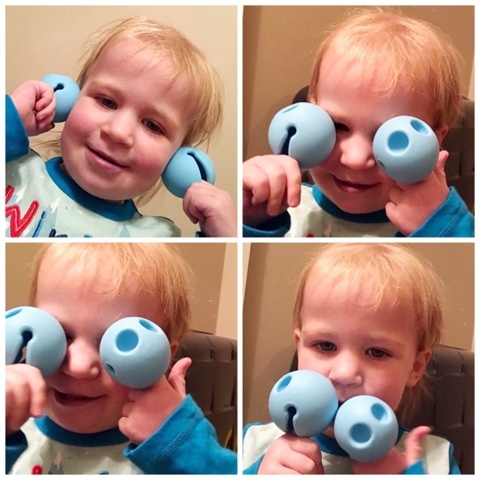 Busy noises places and autistic children (and adults) don’t always mix well so to help ease the anxiety I often offer Logan his EDZ Kidz ear defenders to wear if he feels like it. Sometimes he will and sometimes he won’t. I’ve noticed as he’s getting older he doesn’t want to wear them as much as they make him stand out and he is becoming aware of this but they still come in handy. There's also a cool jigsaw patterned EDZ cap which you can click over the ear defenders, it's like the autism symbol to me. So these are some of the things that really help Logan with his day to day activities. There's lots of other things out there that help as well but I'll leave them for another post. I'd love to hear what helps your child or even yourself as the adult.